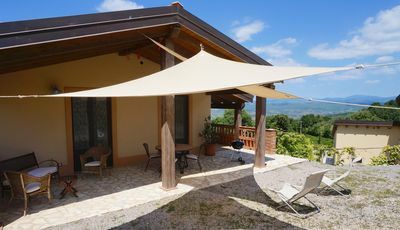 The villa lies at 3 kms from the town of Chianciano Terme, one of the most popular thermal Spas in Italy and at walking distance from 2 wineries. 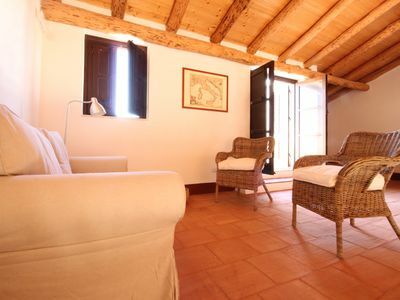 The villa is located among the hills dividing Val d'Orcia and Valdichiana. The whole property is for your private use and not shared with any other person. 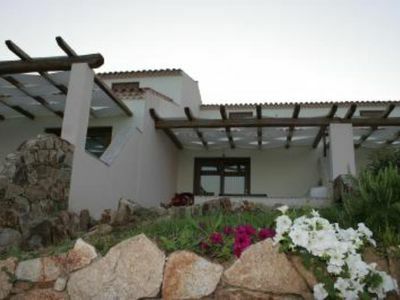 The villa (tastefully furnished) has 2 floors with independent but communicating entries (there are both internal and external staircases), so it is also suitable for 2 families who want to go on holiday together but at the same time have some privacy. 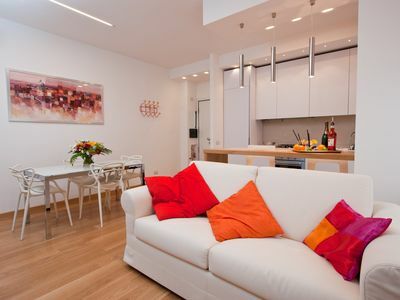 Each floor has 2 bedrooms, kitchen or kitchnette, dining/living room, terrace with panoramic view. 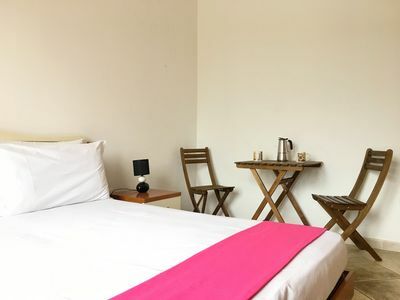 The first floor has a room with kitchen and double sofa bed, this room can also be used as 5th bedroom. The ground floor has one bathroom the first floor two. 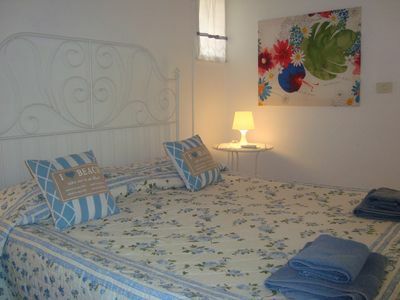 All the bedrooms and the living rooms are equipped with air conditioning. Wi-fi internet connection available on both floors. There are 2 baby cots available and 1 highchair (no problem to get a second one if asked). 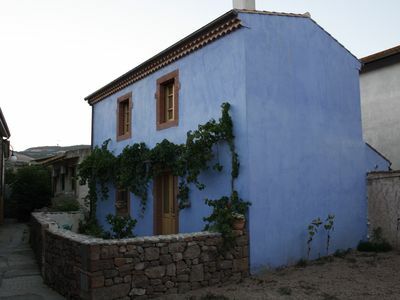 The property has a large private garden with a 12x5 swimming pool (1,20 to 1,70 meter deep). 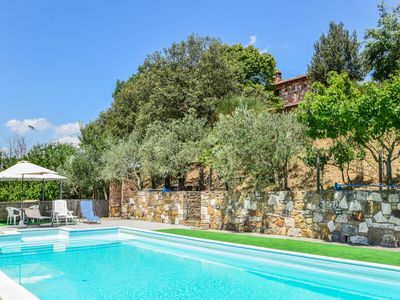 The pool area is completely fenced so the property is suitable for families with babies/young children, there is a first gate and fence near the villa at the beginning of the stairs to the pool area and a second one just before the pool area. 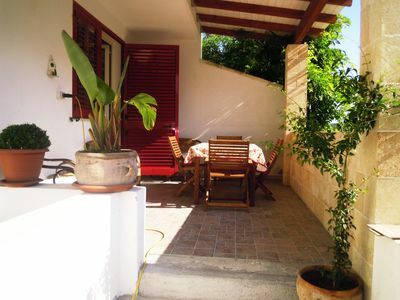 There are tables and chairs to eat outdoor nar the villa and there is also at disposition a barbecue. 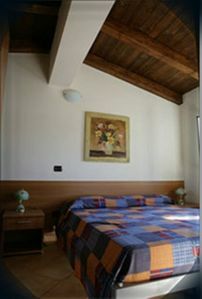 All the necessary shops are availale in the town of Chianciano Terme, the nearest restaurant/pizzeria (Il Casale) is at 1 km from the villa. More restaurants are available in the town self. In Chianciano Terme there are supermarkets (the biggest one is the Coop), bakery, butcher, bars and many other shops/restaurants. There is a good restaurant near the Coop supermarket (Il Buco). The weekly market is on Wednesday. Tennis lane at 4km, horse riding 7km, Golf club 30 km. It is an ideal point of departure to visit Tuscany and Umbria. 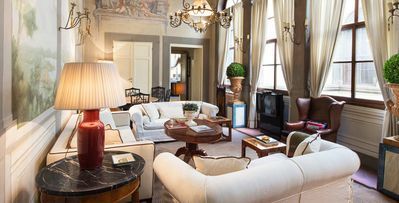 From the property in only 15 minutes driving you are on the highway Rome-Florence. 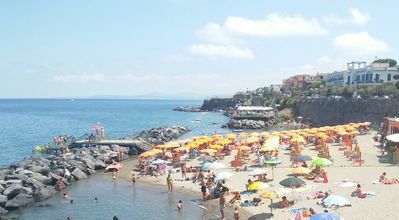 There is a trainstation in Chiusi (13 Kms far away), in around 1h40 you will be in Rome or Florence. 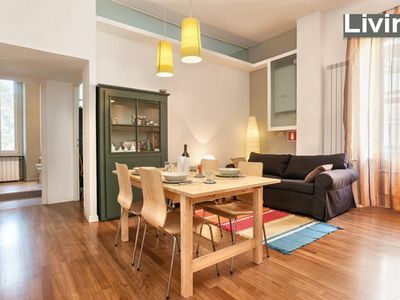 Ground floor: kitchen, dining/living room, 2 double bedrooms, bathroom. 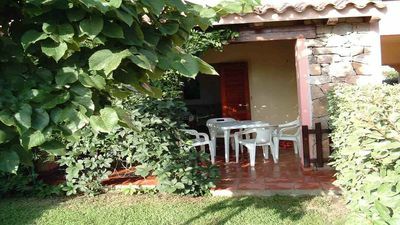 First floor: dining/living room, double bedroom with en-suite bathroom (shower), twin bedroom, bathroom, equipped terrace. The dining-living room on the 1st floor can be used as 5th bedroom (2 single sofa beds or on request to extra beds can be placed here). Midst the Tuscan hills "golf lovers" may reach in 30 min. From the farmhouse a nine-holes green plus a second 18-holes green at 45 minutes drive. Another proposal is a mountain-bike excursion lead by a skilled biker who will guide you through the most fascinating routes and paths of the surroundings. On request and to whom it may concern a professional "chef" is available for a complete cooking course, from making the food to presentation at the table. Just at a stone's throw from the farmhouse and exactly at a distance of 7 km. 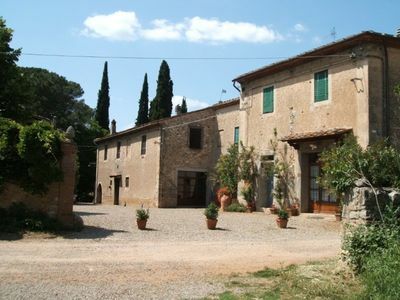 there is a horse-riding school where you can also ask for guided excursions around the Tuscan countryside. Great place with good value for money. Speciality, the rabbit! Decent wine list and friendly service. Very smart and modern establishment that offers both fish and meat. It serves fresh fish of excellent quality. In addition to fish you can try meat /game or pizzacooked in the wood-burning oven. Excellent wines. The Marechiaro restaurant serves traditional Neapolitan cuisine. Excellent dishes of fresh fish including the fish soup. Also good pizza with buffalo mozzarella DOP. 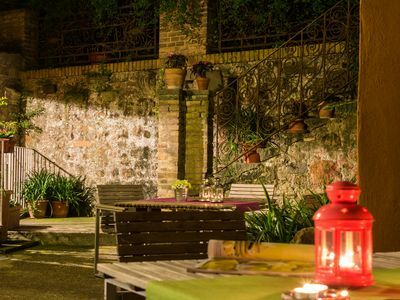 Located just outside the historic center of Chianciano Terme The restaurant offers dishes of the good Tuscan cuisine. Try the homemade pasta (pici or tagliatelle) and grilled meat (cockerel or steak) with white beans. 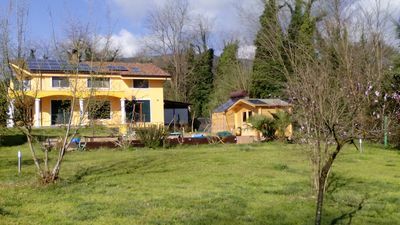 COOP supermarket Via della Pace, 47 CHIANCIANO TERME (3,7 kms from the property). Open every day from 8:30 to 20:30. Sunday 9-13. 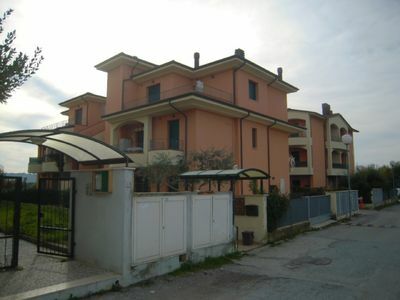 HURRA’ supermarket Via Del Prato 37/39 , Chianciano Terme (4,2 kms from the property). LIDL supermarket Via Molise, 18/20, 06062 Città della Pieve (PG) (close to the highway exit). Open every day from 8:30 to 20:30. Sunday 9-13 and 15-20. Open market of Chianciano Terme (on Wensday) in the streets of Largo Amiata e via dello Statuto. 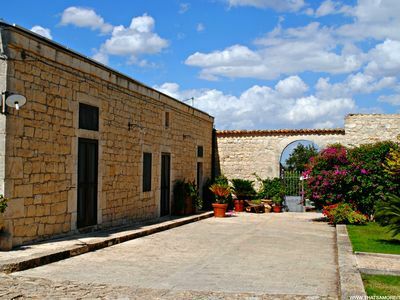 Comfortable and strategic apartment located in Gallipoli, in the Lido San Giovanni area. B & B MANDARIN the ideal place to stay to "recharge the batteries"
Central apartment sleeps six with terrace for outdoor dining.